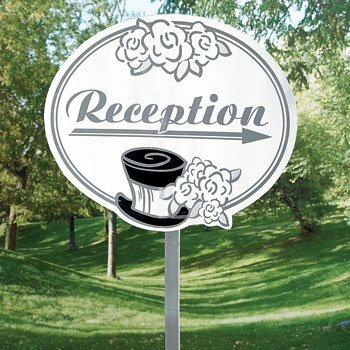 An ideal outdoor decoration, this ready-to-install cardboard yard sign features a cute top hat and flower design. Each 14 1/2" sign is on a 21" plastic stake. Wedding "Reception" Yard Sign - Point the way to the party! 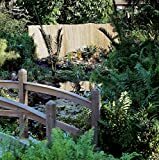 An ideal outdoor decoration, this ready-to-install cardboard yard sign features a cute top hat and flower design. Each 14 1/2" sign is on a 21" plastic stake.